We have a wide range of clothes available in our gift shop upstairs. 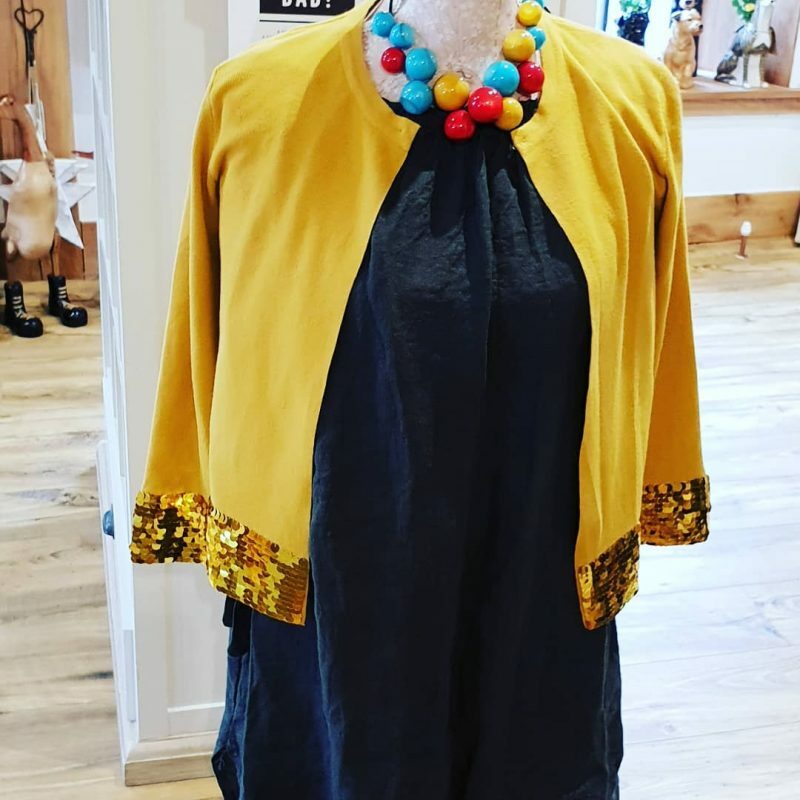 Take a look at this gorgeous sequin mustard cardigan and necklace which is available now. Be quick though whilst stock lasts! This entry was posted in News and tagged clothes, clothing, fashion, new in, no600, no6hundred, south wales, swansea, womens clothing, ynysforgan.